Having a baby and raising a child is such a different phase in life that it is difficult for both husband and wife to be ready. Do men have different considerations before embarking on parenthood? Are there social norms (or pressures) that men feel which affect their decision to be a dad? Let’s explore common considerations for men to see if they are Ready to be a Dad! The biological clock may last longer for men but not for women. Therefore, ready or not, one practical (and physical) consideration is the age of the spouse. Women above the age of 35 years statistically are at higher risk of birth complications. Another aspect of the biological clock is the energy, the activities one envisage to do with the child. Hiking Himalayas? Round-island cycling? By the time the child is a teenager, a reasonable age is forties to early fifties to take on physically challenging activities with the child. Dads are sometimes mistaken as granddads if the age gap between the father and child is too wide. While how others view you should not be a consideration, you have to be honest as to whether you mind being mistaken for a granddad. Depending on your genetics (think graying hair, receding hairline), you may look older or younger than you are. Financial consideration should not dictate whether you have children but it is a practical consideration nonetheless. Lack of finances could lead to marriage stress, quarrels, having to make more sacrifices with respect to education, outside help, enrichment classes, holidays and possibly, even the timing for a second child. In a marriage where the husband takes care of family finances, the man may feel ready only after feeling secure with the financial status. Not to say that women do not consider their career, but society norms may put more pressure on the men to be successful – attain a certain senior position or pay scale. This is more so if the husband is better educated or running a business (which has much more stress and responsibilities than being an employee) and has to decide whether it is the right time to be able to help care for a baby. An emotional tell-tale could be finding oneself more willing to spend time with nephews or nieces, or like carrying your friends’ babies. Not only women want to coo over babies (even then, not all women do!) but men are capable of bonding with babies. This could be more entrenched in some society than others, where the child takes on the dad’s family name. To continue the family name, the men therefore has pressure to procreate. Some men may take this seriously as they look forward to passing their name and along with it, certain sense of family pride, down the line. Having a baby is not going to fix whatever is missing from a marriage or relationship. If anything, having a baby stresses a marriage with the increased effort needed to care for a baby with decreased time, energy and money for everything else. Having a child or not should be discussed before marriage and possibly after the marriage has settled down (and you no longer ask yourself who is this woman I have married!). Before you take the plunge, maybe have a trial by reading about it, helping to babysit or doing more than your fair share of chores. 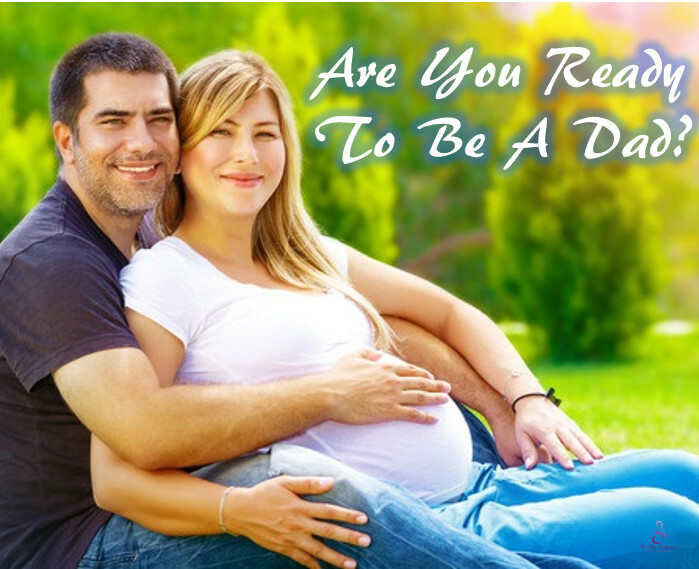 While it is never possible to fully prepare to be a dad, it is not a bad idea to ensure both you and your spouse have seriously considered this so that when the baby comes, you are off to a strong start.